It’s time again for the traditional NYRRE Holiday Trip, which is being co-sponsored in 2012 by the ERA and the New York Railroad Enthusiasts. This year we will visit the Holiday Train Show at the New York Botanical Gardens in the Bronx. 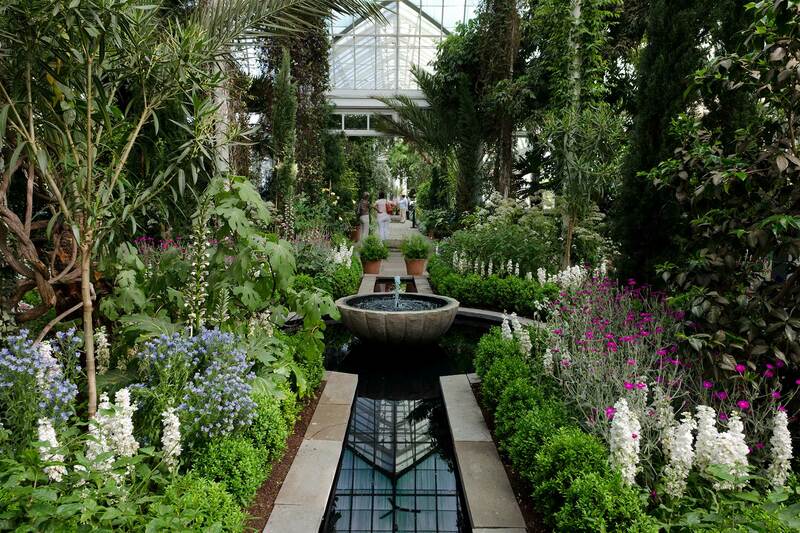 Laid out in the Enid A. Haupt Conservatory, the trains wind their way among exotic flowers and plants. Each of the many model buildings on the layout are made of natural materials like twigs and wooden branches, as are the bridges over which trains soar. The ticket price for the trip is $74 ($70 for seniors 62 and older). Price includes round trip transportation, luncheon, and Metro-North tickets. A PDF of the trip flyer can be downloaded below. Full payment is due with your reservation. There is no refund if cancellation is given less than two days before the trip. Please make your check or money order out to: RRE, NY Division Trip Fund, Inc. Trip orders are due by November 21, 2012.